SIEMonster will deploy Search Guard, the revolutionary security suite across all SIEMonster products. 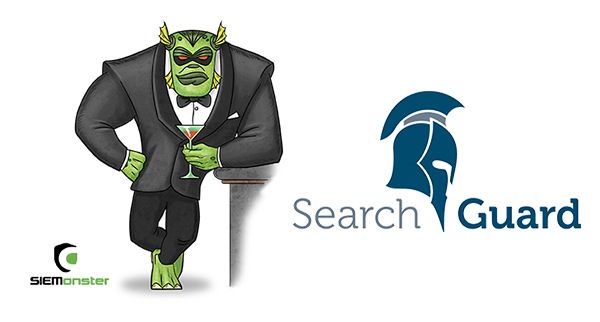 SAN FRANCISCO, April 6, 2018 (Newswire.com) – The creators of Search Guard, the Open Source security and compliance plugin for Elasticsearch, today announced a partnership with SIEMonster in which Search Guard’s software will be embedded into SIEMonster’s SIEM product suite. This partnership will offer defense-grade Security Information and Event Management (SIEM) to enterprises around the world. Search Guard is used worldwide to secure sensitive data of Elasticsearch clusters by working with different industry standard authentication techniques, like Kerberos, LDAP/Active Directory, JSON web tokens, TLS certificates and Proxy authentication/SSO. Search Guard is an Open Source security and compliance plugin for Elasticsearch and the entire ELK stack that offers encryption, authentification, authorization, audit logging and multitenancy. The unlimited nodes license enables companies to scale their infrastructures infinitely and cost-effective. SIEMonster is the brainchild of a team of professional hackers with over 20 years’ experience, hacking into companies around the world. Using this experience, SIEMonster has built modern security SIEM tools for companies wanting to detect threats and risks to their organization. SIEMonster is an Enterprise-grade Security Information and Event Management (SIEM), built on scalable, open source components. It all began when a global manufacturer detailed their frustrations at the exorbitant licensing costs of commercial SIEM products and asked whether we could build a SIEM to minimize these annual license fees. We thought that was a great idea, and set out to build a SIEM that we would also use. SIEMonster now provide SIEM products for Managed Security Providers (MSSP’s) and Security Professionals around the world.